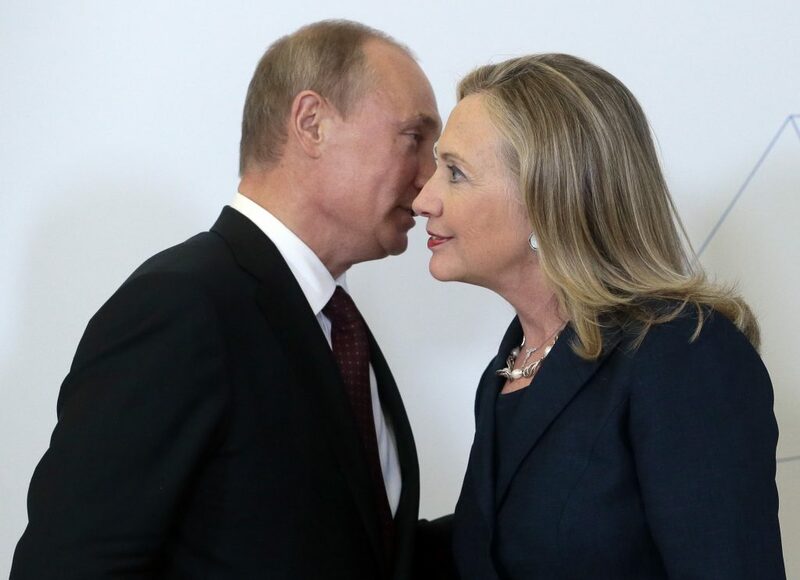 22 Nov, 2017 by	Margaret M.
The FBI informant who was gagged and prevented from warning Congress about the Clinton connection concerning the Russian purchase of Uranium One is getting ready to speak and explain the 5,000 pages of documents he gathered covering the deal. Informant William Campbell, who was only recently named as the undercover agent who gathered information on Russian involvement, has been countering the evidence and statements presented by the Justice Department as fact. Campbell started working on the case in the fall of 2009, one year before 20% of the American uranium reserves were sold to the Russian state-owned energy company, Rosatom. Obama approved the final sale and Campbell was not given the chance to describe his findings to anyone else and so the deal went forward because he could not warn that the Clintons have been receiving money from the Russians while they facilitated the deal. Yesterday, the New York Times ran an op-ed with the headline This Uranium Deal Was No Scandal and for some reason mentions the word “Trump” 6 times despite the deal taking place in 2010, back when he was still a real estate guy famous for his TV show. Their argument was that since there wasn’t that much uranium being sold, it’s not really such a big deal after all. The anti-Trump media has been playing the whole story off as nothing. Campbell was a $50,000 a month consultant to Rosatom, hired to help them smooth the ruffled feathers of politicians who might object to the sale. All the while, he gathered information for the FBI showing that the purchase was a concerted effort by the Russian government to make Americans dependent on Moscow for their uranium needs. Another American working with the firm, Rod Fisk, told Campbell in 2010 that even the higher-ups at the Uranium One company were in the dark about the sale to Rosatom before its announcement and that they considered the price being offered by the Russians was “strange.” At the time, Fisk did not know that Campbell was working for the FBI and was found to be bribing the Russians. And through all this and more, the Department of Justice appears to have been aware, despite their current statements to the contrary. Trump has been pushing Sessions to investigate the Democrats for months now. The DOJ recently confirmed that they had paid Campbell almost $200,000 over the six years he worked for them, with most of that money going to reimbursing expenses. The DOJ was paying him for something, they knew what information he had and they’ve been playing dumb for months. And soon, Campbell will speak.